There’s just one week to go before the big day—and we want to see more of your progress on getting your costumes ready for Halloween! 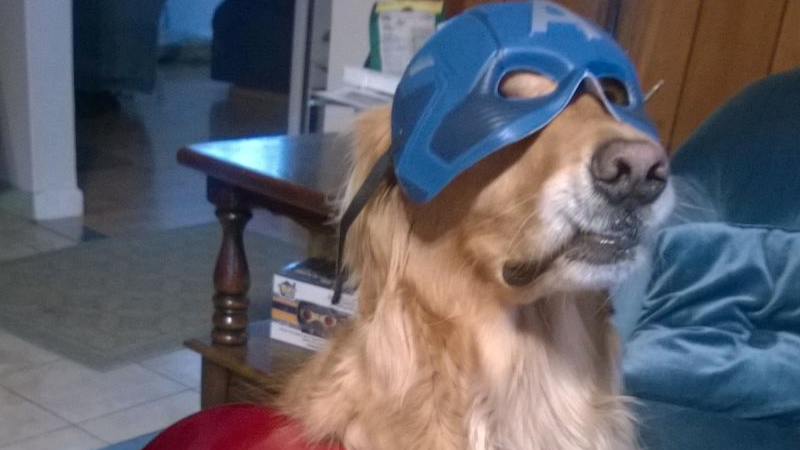 Although let’s be honest, you face some tough competition, like Kinja user Pwomp’s dog Hank. Or Mike and his wife as Batman v Superman’s Knightmare Batman—and apocalyptic Robin! If you still need some last-minute inspiration, you can see the rest of the entries we’ve had so far at the link below—otherwise please post pictures of yourself (and only yourself), and tell us both who or what you are dressed up as and a little about how you put your costume together, in the comments. The best of the best will be featured here on io9 on Halloween itself!